Power. Prestige. Beautiful style. All of these are attributes that you will find in each Porsche vehicle for sale near Columbus, OH. At Byers Porsche, we know that when you choose a Porsche car or SUV, you truly care about the driving experience. With all of the latest models rolling onto our store lot, you're going to love to get behind the wheel of vehicles featuring innovative technology along with bold styling and performance. Check out our new car showroom to view the all new 2018 Porsche Cayenne SUV, a 2018 Porsche Macan, or the 2018 Porsche Panamera. We invite our friends in the areas of New Albany, Westerville, Upper Arlington, OH and beyond to take advantage of our new Porsche specials for some exciting deals on your next Porsche vehicle! so we provide our own services including an option to schedule Porsche service. Our service center does it all including oil changes, tire balances and rotations, fluids and more! No service is complete without new parts. This is why we also have our own Porsche parts center; so that you know you are not only receiving a quality part, but a part made for your specific vehicle! You want options, so we give you options. We can help you to lease or buy a new Porsche through our financing department. For planning purposes, we even have a car payment calculator for you to assess what purchasing a new Porsche will cost. We will also check the value of your trade in by filling out our form, if you want to trade in your old vehicle for a new Porsche.We want to get you into the Porsche of your dreams, so give us a call at (888) 713-8423 to see what we can do for you. 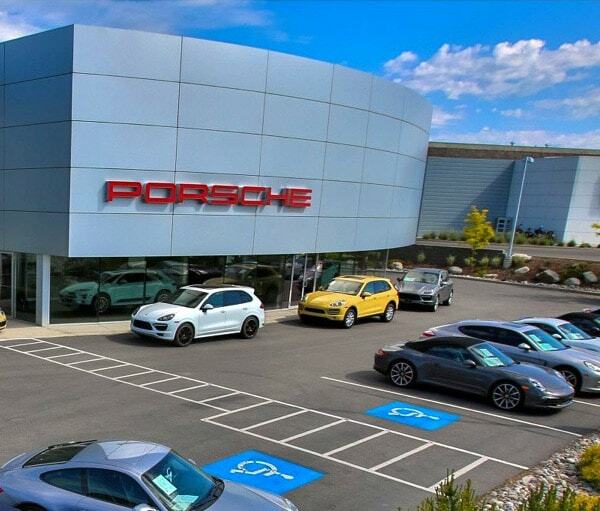 We also invite you to come see our beautiful inventory in person at our Porsche dealership serving Columbus, OH. Stop by and see about a test drive today!